Team Stronghold and the Charity Committee would first like to thank all the employees and friends & family who volunteered to help at our Memorial Cross Build event on April 15th. Earlier this year the charity committee presented our team donation to the American Legion Post 79 & Honor Flight, and while speaking to the members more about their organization, we learned that they were in need of new crosses for Memorial Day. Our charity committee team leaders quickly took action and offered the help and service of Stronghold to build the new crosses. Our team members came up with a new material solution to solve the problem of the rotting wood of the old crosses, and also came up with a fun and easy production assembly line that would allow for the team to build more crosses at a faster pace. 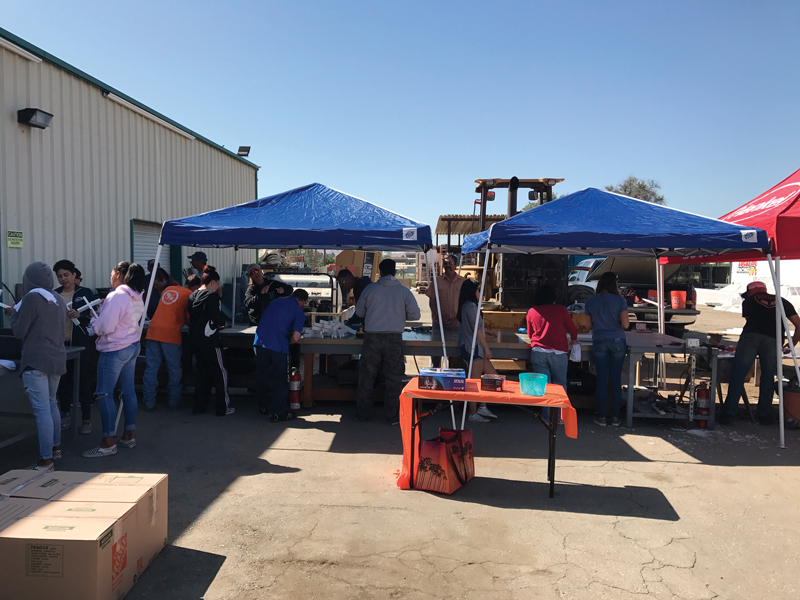 The event was an exciting day, with music, taco man and more than 40 volunteers who showed up to participate in this great cause. By noon, and out of materials, the team had built and assembled over 300 new white crosses. A great success with the help of so many amazing people, Scott and Beverly Bailey were so proud of what team Stronghold accomplished that it was already determined we were not only going to do this again, but do it even bigger next year! It truly is an inspiring and uplifting feeling to give back to those who put our freedoms before theirs, and we thank everyone who was involved and we can not wait to do this again. Special thanks to Robert Stuart for his leadership on the Charity Committee and Stewart Prothero, Andy Tanimich, Ron Beatty, Don McNicholas, Sandi Lawhorn & our DJ, Javier Ortiz for putting together this great event.